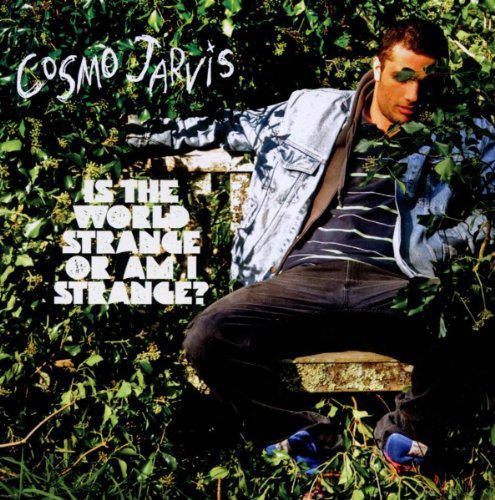 Cosmo Jarvis isn't someone necessarily familiar to the masses. His music is pretty diverse and his songs range from acoustic melancholy to angry folk to indie goodness. He's also a filmmaker who was born to an Armenian-American mother and English father. Think Bigger is his third album in as many years and he's only 22. In the 11 tracks on Jarvis's latest effort, there's a real variety of styles and it's actually quite a fascinating listen. The album is brimming with catchy choruses, great acoustic melodies and charming lyrics. There are no songs about being ostracised or being apart from the norm, which is refreshing; the majority of the songs on Think Bigger are cheerful and captivating. 'Love This' and 'Train Downtown' are both catchy numbers with real resonance which make the album seamlessly flow and both have great lyrics to match. First track 'Love This' has Jarvis declaring: "Dying keeps me conscious of the way I waste my breath". This sets the tone for the album, giving it a fun and invigorating pace but at the same time providing serious undertones for the listener to deal with. 'Sunshine' is an example of Jarvis delving into folk and this track wouldn't be out of place on an album by The Decemberists. It's got a bubbly and boisterous quality to it and as the song goes on Jarvis's shows off the anger in his vocals, demonstrating that he has more to him than your average frothy songwriter. 'Good Citizen' is a great old-school sounding blues-rock song which again shows how diverse Jarvis can be. However there are some tracks which just don't cut it with the rest of the material: 'Hopeless Bay' has almost cringe-worthy lyrics and makes you wonder what possessed him to put it on the record. The lyrics seem to deal with suicide but the song has an alienating and perculiar guitar melody and score in the background which just undermine any serious themes that might have been apparent. It's frustrating because on the majority of the songs on the album, Jarvis has shown how good a songwriter he is. Think Bigger is an inventive and radiant record which restores a lot of hope in British songwriters because if Cosmo Jarvis manages to break into the mainstream, there won't be any stopping him.